There is only one choice in cool-to-the touch, safe, pyrotechnic fountain fireworks. That choice is Sparkular. Don’t settle for less than the safest and most feature-rich displays. Referred to as a gerb or a fountain, traditional pyrotechnic devices use a flammable charge that is lit with an electronic igniter inside a thick cardboard tube. Intense pressure builds up inside the tube and pushes sparks out of the narrowed top or choke. A gerb is hot enough to scorch theatre scenery and ignite flammable materials. Safety, and placement are determined by the operator, so human error plays a significant role in how safe or unsafe a display is. While they are sold to consumers, the consensus among safety experts is that they are not appropriate for use by an untrained individual. Sparkular relies on physics instead of chemistry. A simple, atmospheric reaction ignites granules in the chamber. No flammable charge is required. If you are still wondering if there is some reason to choose a traditional hot display for your event, let us put your mind at ease. There isn’t. 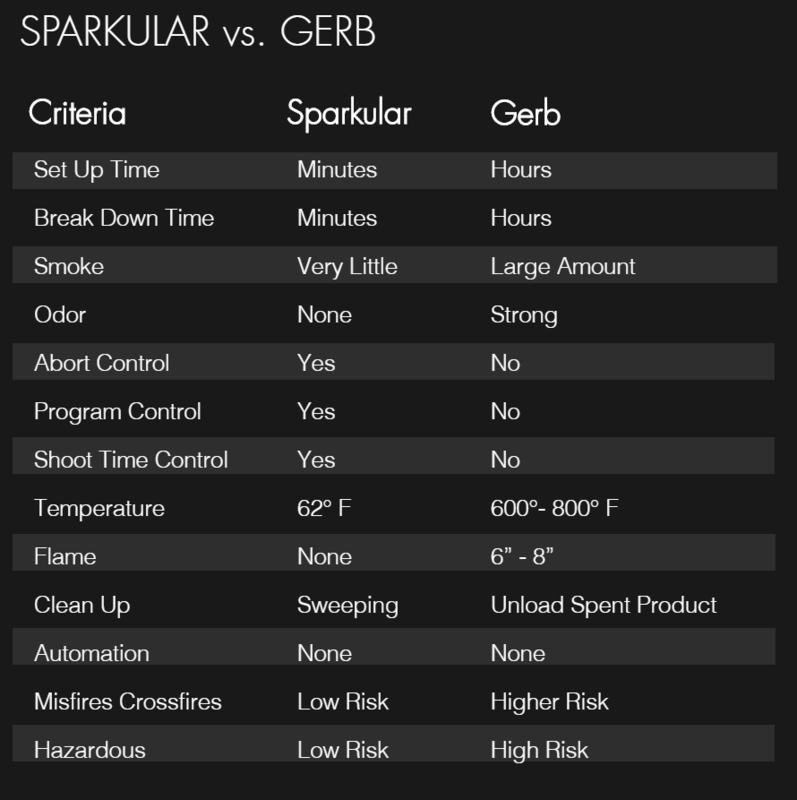 Take a look at this comparison between the Sparkular system and traditional hot pyrotechnics. The Sparkular system includes a safety certification for operators, and the manufacturer provides the companies that sell and rent the technology with outstanding US-based customer support. Only a select group of companies have been chosen to offer it to customers. 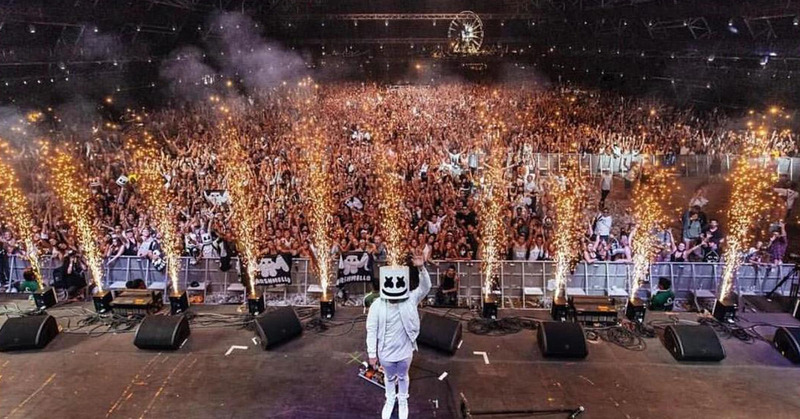 So, if you choose this outstanding new system for your next event, you’re going to have something that most of your audience has never experienced before. Give us a call to learn more about the Sparkular system. 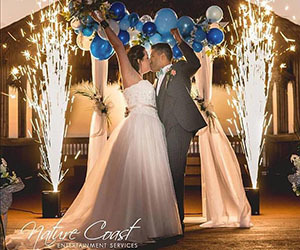 We can design, produce, and operate all of the special effects for your next event or national tour.